This ring is comprised of four polished sterling silver cradles. Twelve beautiful handmade tiny glass marbles float freely in the cradles, adding a gentle unique movement to a finger. I created this ring through traditional metalsmithing techniques of sawing, forming, hammering, and soldering sturdy sterling silver. 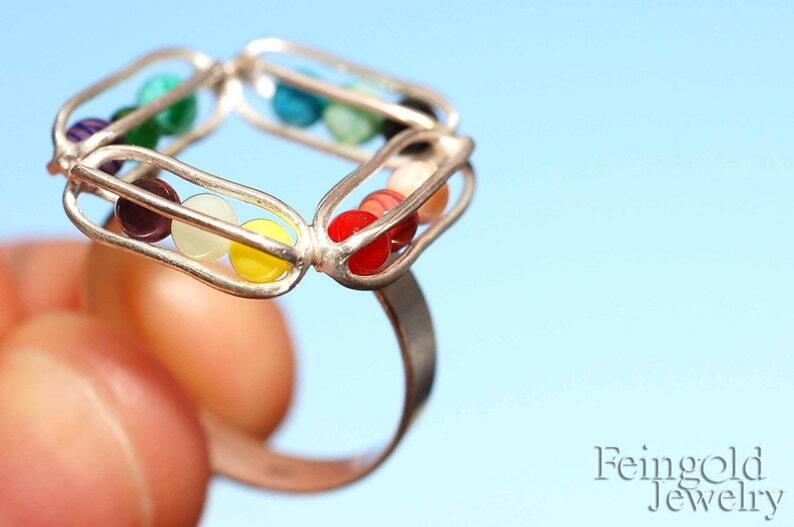 I shined the sterling silver ring to contrast the rainbow of marbles. This ring cannot be resized. If you want something special, contact me and let's talk!